Many legitimate workers' compensation claims are contested. 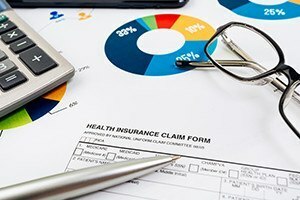 When an insurer starts paying benefits right away and does not deny or dispute the claim, an employee can rest assured that medical bills for reasonable, necessary care will be paid. However, if an insurer contests a workers' compensation claim, an injured employee will need to try to make other arrangements for the payment of medical bills. In some cases, health insurers will step in or a medical provider will accept an alternative arrangement, including public assistance such as Mass Health. The payments from other sources may result in a medical lien against the individual’s benefits. The lien is supposed to be repaid if workers' compensation is awarded. However, when medical lien disputes arise, it can help to have the Boston workers' compensation attorneys at Pulgini & Norton on your side. Workers' compensation insurers that accept responsibility for a claim will usually pay for any medical expenses that were incurred because of an accident, as long as the medical treatment is considered reasonably necessary. Whether or not a medical lien is paid may depend on whether the insurer believes the treatment was reasonably necessary. Under Section 46A of the Massachusetts General Laws, when benefits are paid under a policy of accident and health insurance with respect to a claim that is compensable through the workers' compensation system, the insurer is permitted to file a claim for reimbursement out of the proceeds of an award or lump sum settlement before an award has been made or a lump sum settlement has been paid. A medical lien is satisfied and discharged when a workers' compensation insurer reimburses the provider or health insurer. If a lien is placed, the lien holder's right to recovery needs to be satisfied before the injured worker can take anything. However, an employee retains control over whether to settle a claim or try the case in a hearing before an administrative law judge. In some cases, lien holders are willing to negotiate their liens because the claim is denied or they were aware that recovery would be difficult. Lien holders are usually aware that if they demand too much of a worker's settlement, the worker will have no incentive to settle. When lien holders refuse to negotiate in a reasonable fashion, the employee may turn to the Department of Industrial Accidents (DIA). The DIA administers the workers' compensation system, including disputed claims, and it can evaluate the amount of the lien that should be repaid. Medical providers and pharmacies that provide care to injured employees who are covered by the Workers' Compensation Act must accept the rates published by the DIA as full payment. Out-of-state providers must also accept these rates. No amount can be charged to an injured employee that exceeds the published rates. If you are hurt or become sick on the job, you should consult an experienced workers' compensation lawyer to help make sure that your claim goes smoothly and that any medical lien disputes are resolved in the best possible way. At Pulgini & Norton, our workplace accident lawyers represent Boston residents as well as people in Cambridge, Waltham, Newton, and other Massachusetts cities. Call us at 781-843-2200 or contact us via our online form for a free consultation.